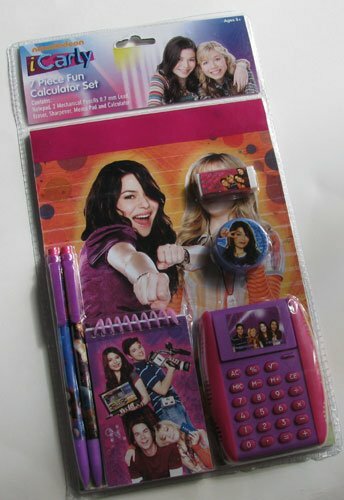 iCarly 7 Piece Fun Children's Calculator Set. Contains: notepad, 2 mechanical pencils 0.7 mm lead, Eraser, sharpener, memo pad and calculator. Not for children under 3.